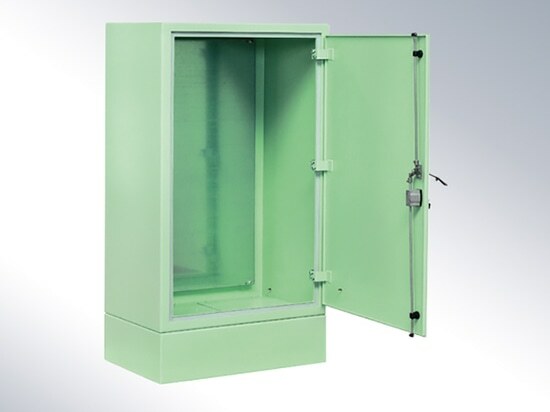 At the SPS IPC Drives, in Hall 5, booths 170 and 270, häwa GmbH exhibited outdoor enclosures, which, owing to the sophisticated ventilation and air conditioning technology, are perfectly suited for outdoor applications in all weather conditions. 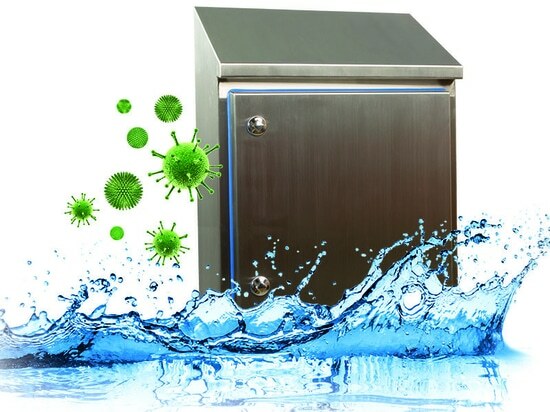 These enclosures were developed for a manufacturer of small and container sewage treatment plants and they are used where a connection to the public sewer system is economically not feasible. 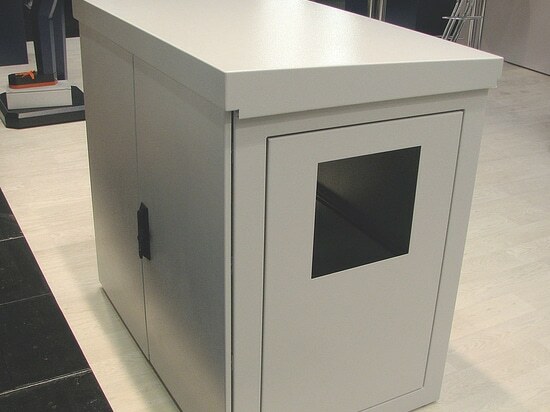 The outdoor enclosure is based on a cabinet with various versions and removable side panels mounted from the inside, as well as a special removable rain cover. 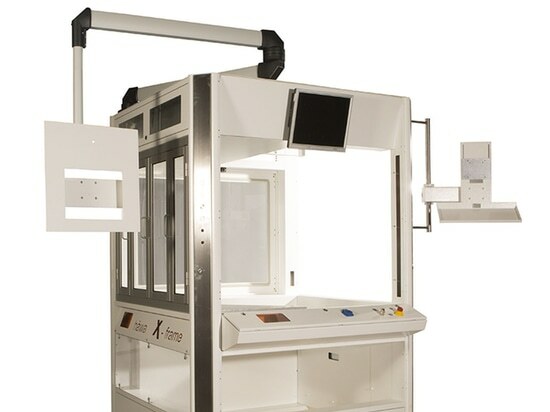 Built-in fans and cooling devices ensure the right climate inside the enclosure at all weather conditions. 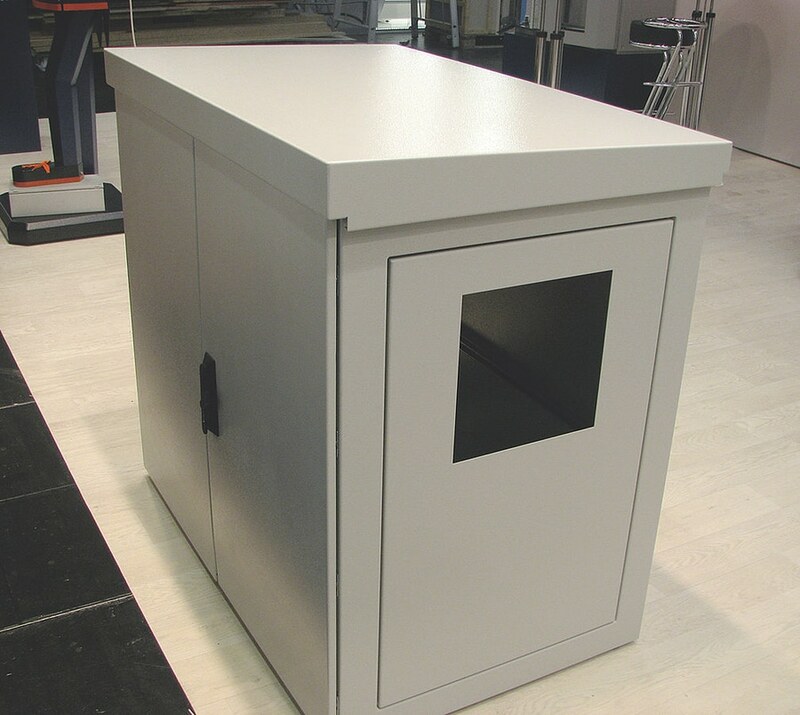 In order to protect the enclosure from scratching, the surface of the floor is externally equipped with stainless steel sliding sheets. The individually required holes and rails for mounting the interior fittings of the enclosure are already pre-mounted. häwa presents at the SPS Fair in Nuremberg new enclosures with specific protection against vandalism: robust frame, high material thickness, washable surface.